A beautiful 4 bedroom home on Bitou Glade in the Brackenridge Estate. 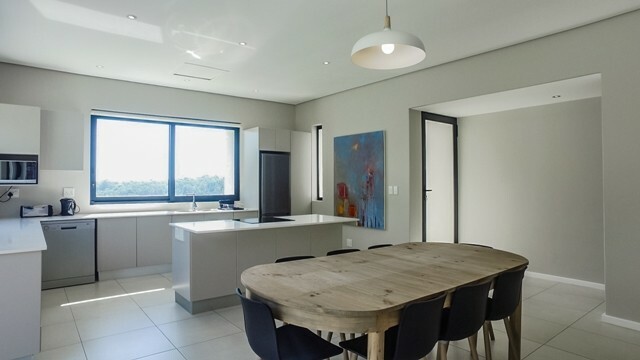 The home is split into two sections namely Namphu and Thula both offering two bedrooms each. *Namphu: offers an open plan lounge, dinning room and kitchen. Outside on the patio is a 8 seater bench table and a built in braai. 1st bedroom offers two Â¾ beeds put together to make a king bed. The bathroom is not en suite and offers a shower, toilet and basin. In the second there are 2 Â¾ beds and an en suite bathroom with a shower and a toilet, separate basin. 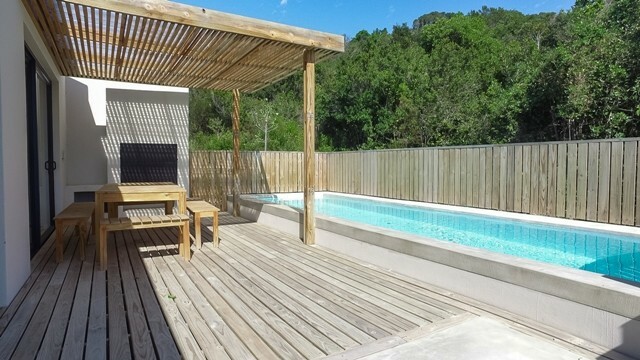 *Thula: offers an open plan lounge, dinning room and kitchenette with 2 plate counter stove and microwave. Small wooden deck with 4 seater outside table. In the first bedroom there are 2 Â¾ beds pushed together to make a king bed. The second bedroom offers 2 Â¾ beds. 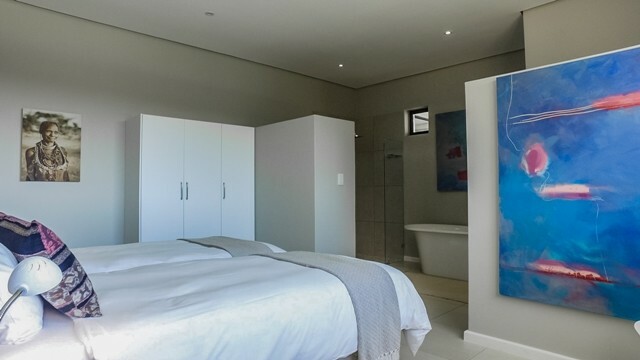 Both these bedrooms offer full open en suite bathrooms. These two sections are interleading. DSTV decoder and smartcard are supplied. Two sets of linen for all beds and bath towels are also supplied please bring your own beach towels.